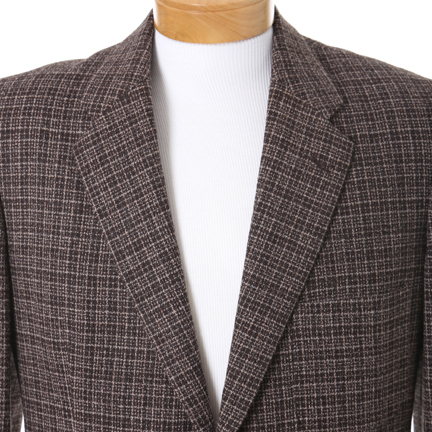 This coat was worn by the character Ray Charles portrayed by the Academy Award-winning actor Jamie Foxx in “Ray”. 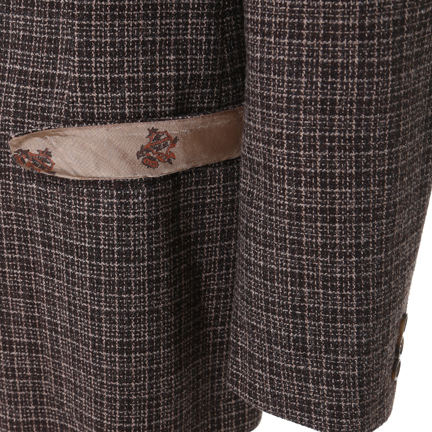 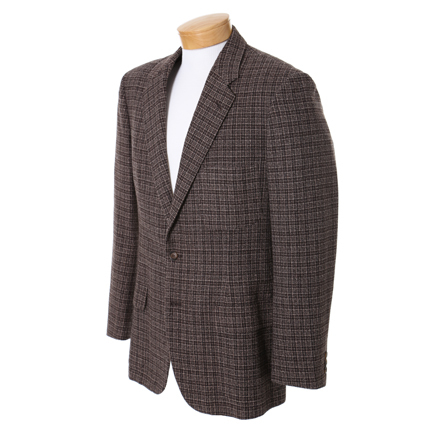 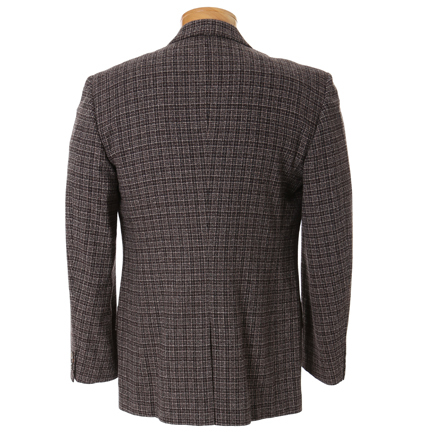 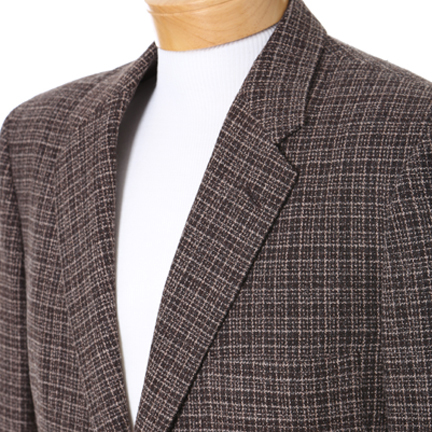 The brown and pink plaid blazer has a notch lapel, patch breast pocket, two lower flap pockets, and three button cuff. 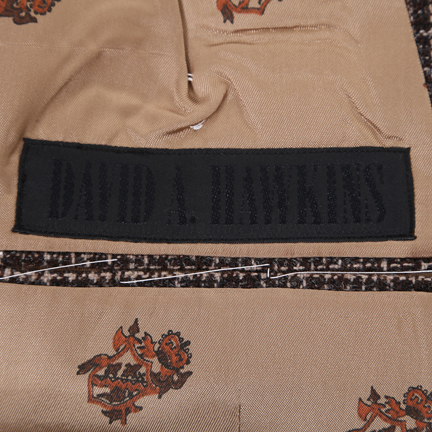 Custom made by David Hawkins specifically for Mr. Foxx. 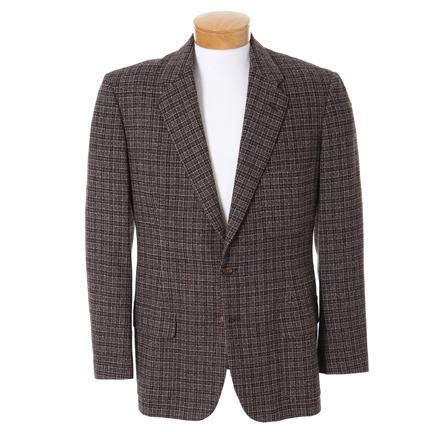 Mr. Foxx wears this garment when meeting with a new record producer and discusses mixing R&B with old school gospel. 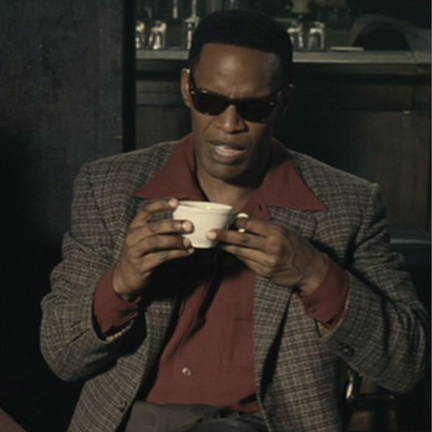 “Ray” received multiple wins and nominations at the 2005 Academy Awards. 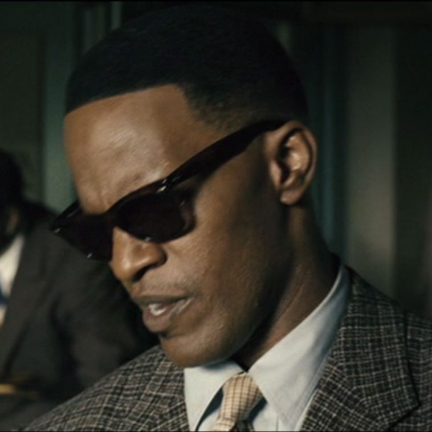 Among these, Mr. Foxx received an Oscar for Best Performance by an Actor in a Leading Role, and Ms. Sharen Davis received an Oscar nomination for Best Achievement in Costume Design for her outstanding work on the film.